The traditional sales team has always been about two things: chasing and closing. If you’re no stranger to the industry, or dare I say a victim of outbound sales techniques, then you have likely noticed that our world of sales has transformed into a model that is focused on value. It’s a buying experience that people actually enjoy. That’s because the stereotypical salesperson (who used to say anything to close the deal) is no longer effective. Fundamentally, humans have changed the way they make business decisions, but most sales organizations have not evolved with them. Your prospects and customers have become increasingly more selective in the businesses that they trust, which means your marketing and sales teams need to be working collectively to break through the clutter, and focus on attracting qualified leads and closing the right customers. Unfortunately, in most organizations these two teams are not aligned. Marketing is doing their thing and sales is doing their thing. While they both are likely doing a good job, if they’re not working together, your organization is not reaching its true potential. One of the problems that leads to this misalignment is that these two teams traditionally operate in different systems, and those two systems don’t communicate very well. Marketing uses a marketing automation software and sales will use their own CRM. They’re siloed and therefore both teams have blind spots. As a sales person, you’re handed leads from marketing, who told you they’re qualified and let you take it from there. Wouldn’t it be great to know exactly how qualified they are without hopping into a foreign software platform, trying to dig out the information you’re looking for? Wouldn’t it be great if everything just lived under the same platform? I’m excited to tell you there is a solution. 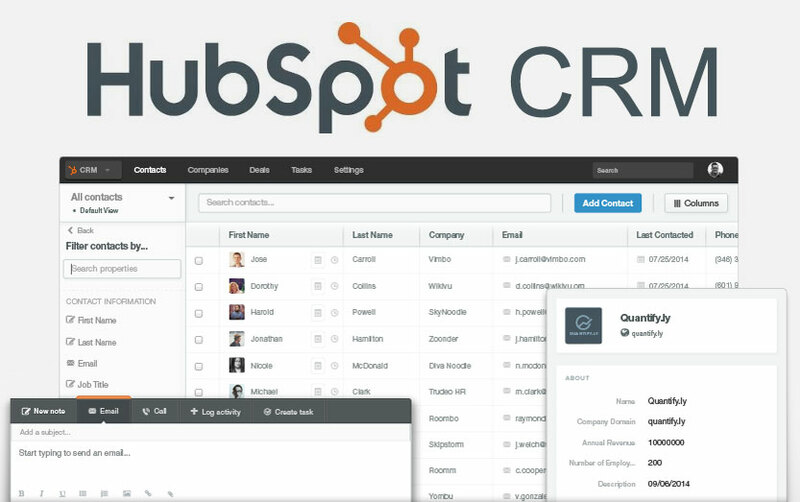 Introducing the HubSpot CRM. HubSpot has always been “laser-focused” on matching the way we sell with the way we buy. With the HubSpot CRM, your sales team can get organized and back to closing more of your qualified leads into happy, loyal customers. Built from the ground up by salespeople, for salespeople, this platform is truly designed, integrated and intended for the modern sales world. The new sales platform is easy to use from day one. Many other systems are comprised of numerous tools and features that take time and energy (which is money) to master. But with HubSpot, the CRM is designed to keep your team focused on what they do best without changing their process. This saves them time, helps them close more deals and ultimately helps grow your business. And in today’s evolving world of sales, where it’s less about selling and more about helping, the more time your sales reps have, the more opportunity they have to educate and assist their prospects. 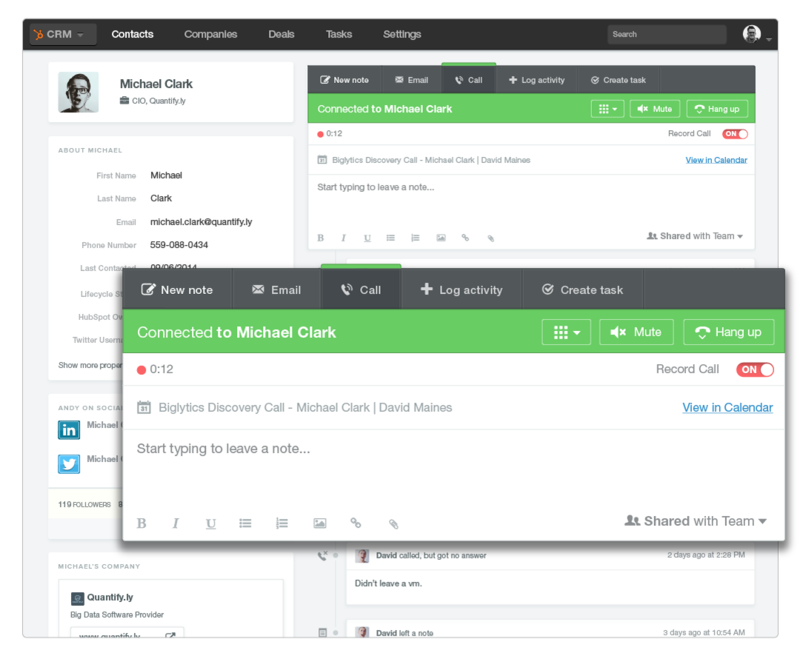 Say goodbye to the days of logging emails and calls, the HubSpot CRM can make more effective use of your time. 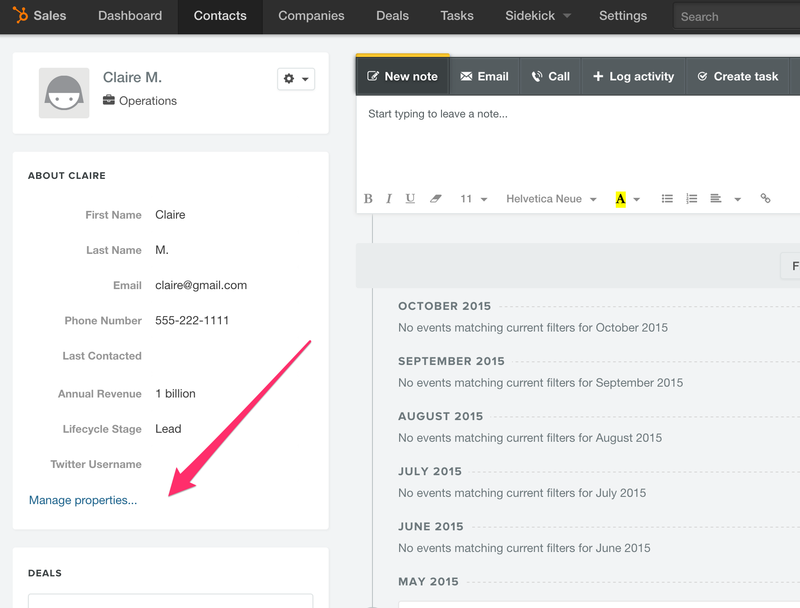 HubSpot's CRM works in the background by organizing every interaction between you and your contacts. This way, you can go about your day without having to worry about tracking who called who and why. Not only is the HubSpot CRM easy to use and saves you time, but its also built around the way people shop and buy today. The sales process happens across a variety of platforms and channels - from your website and social media to your emails and phone calls. With the new sales platform, all of these actions or “touches” are recorded and made available for future utilization. Collect and store more data on contacts, companies, deals and tasks with a reliable and easy to use database. How much time have you wasted de-duplicating contacts or updating company information? Not anymore. The CRM automatically syncs with the marketing side of your HubSpot portal to take care of all the little details your sales team really doesn’t need to be distracted by. Similar to other CRMs, the contacts section of the database is very customizable. However, unlike other platforms where it’s difficult and clunky to create custom views and reports, the HubSpot CRM makes it easy to create a fully customized dashboard. When you’re building a new view, you simply choose which contacts you want to see and can then get very granular with how you slice and dice the data. Want to see only contacts assigned to an individual rep with the contract amount greater than $25K and a status of Opportunity? No problem. In just a few clicks, you’ll have your view set up and will be able to save for future use. As mentioned previously, the sales process takes place across a number of different channels. That means prospects around the world are given the opportunity to interact with your company at different touch points. With the Timeline feature of the HubSpot CRM you can organize everything from your emails to prospect visit data, such as page views and behavior, all in one simple, intuitive view. The Timeline serves as a snapshot of all the interactions your organization has had with each individual prospect. And what’s even better is that the Timeline pulls in marketing activities as well. Your prospect downloaded your latest ebook? Great; it’s right there in your Timeline, giving your sales reps more personalized talking points, leading them to have more meaningful conversations with your prospects. Like with the main dashboard view, you can also filter the Timeline to show only the information you’re interested in. Want to see how the prospect has been engaging on social media? Or how about the forms they have submitted? Or even the pages they’ve visited most recently? It’s as easy as one click of a button. Email has forever been a pain point for sales representatives. You send emails out of your own email client, then have to log that activity in your CRM in a different platform. Sure there are connectors, but they don’t work very well and still involve extra steps to complete the process. What about just hitting the send button? One of the features I’m most excited about for my sales is the email integrations. 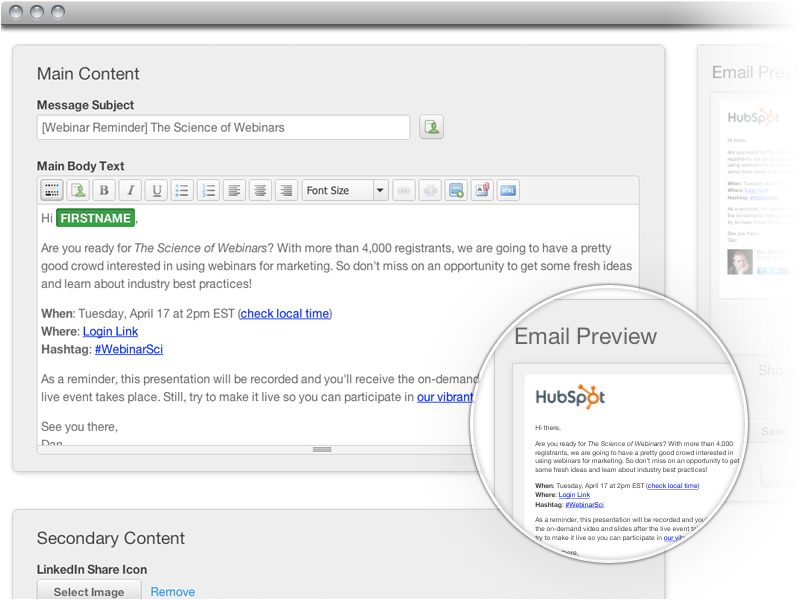 The HubSpot CRM connects to all of the most popular email clients; Google Apps, Outlook and Apple Mail. Not only does it automatically track email activity from outside the platform, but you are also able to send emails directly from inside the platform. If you, or a member of your team, are the type of person who is always looking to improve their selling abilities and critique themselves after a call, then you’ll really enjoy the phone integration feature of the HubSpot CRM. Now, rather than simply tracking your call activity in your CRM platform, you can actually complete a call with just one click. This feature automatically logs notes from your call and the actual recordings (optional) of your calls so you can revisit to see what might have worked well for you or what could use some work. Plus, you’ll be able to have a clear record of every call you make, so your follow up process will be effortless. 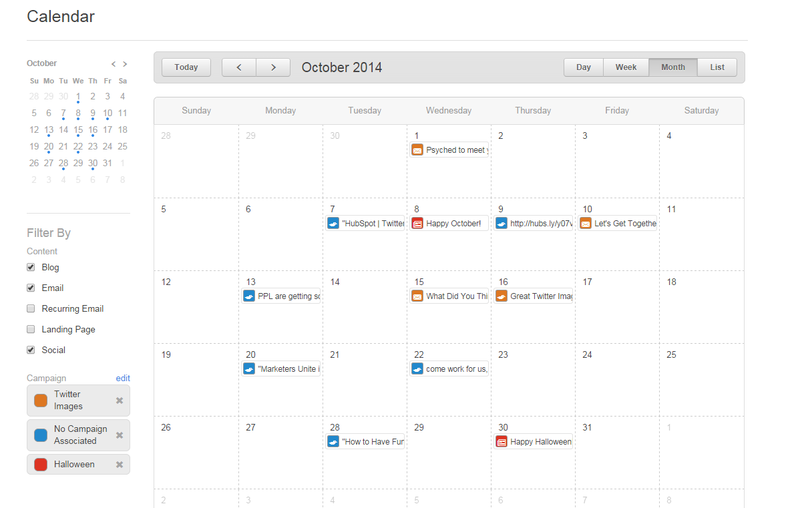 Tired of switching back and forth between your email, your calendar and your CRM? Us too. The HubSpot CRM syncs with Google Calendar so you can schedule and create new meetings directly from the platform, in seconds. Get off a call with a prospect and want to schedule a follow up? When you’re on their contact profile, simply choose “Schedule” and you’ll be able to send them an invite instantly. Plus, that meeting will also now live on their Timeline! A unique feature to the HubSpot CRM is the Deals dashboard. As a sales rep, you are able to see all of your deals organized into each stage of the pipeline they’re in. It will not only help you manage your pipeline better, but also be able to more effectively forecast. One of the things our team is really enjoying is the drag and drop functionality of the Deals dashboard. Rather than going into each individual company profile and changing the status to advance them to the next stage, you can simply drag them from column to column and place them where they fit best. It’s quick, it’s easy, and it’s a huge time-saver. This is one of the coolest features of all. The presentations section is a revolutionary way for sales teams to leverage content in the sales process. Last Friday we wrote a post about how inbound sales reps can use content to help them close more deals, but this takes the content aspect one step further. We all use pitch decks, whether for a product demo, a case study, a report, etc. The truth of the matter is, they’re an essential piece of the sales process. With the presentations feature in the HubSpot CRM, your crazy world of pitch decks, just got a whole lot more simplified. We’re planning to write a more in-depth post about how to leverage this section of the CRM, but I want to give you the highlights today so you can see why we are so excited. You start by uploading a presentation. From there you can not only share it with your prospects, you can actually edit it right in the CRM - customize it for a different deal, add slides, remove slides, rearrange them, tweak the content, you name it! Once you have your finalized deck ready to go, you can go into presentation mode. Presentation mode allows you to send a live link of the presentation to your guests as well as see who precisely is in attendance and viewing the presentation. No more setting up external meetings (that invariably don’t work out as planned) or sharing screens! Finally, you can also see analytics behind your presentations. How many times it was shared, how many people came to revisit it and how long the average viewing time was. Pretty powerful, isn’t it? With the right platform, it’s possible to make sales a rewarding and pleasant experience for both the rep and the prospect. We’re excited to be able to share this platform with you and know that it will help you grow and scale your sales organization. If you have questions or comments, let us know in the comments section below! And for even more on the HubSpot CRM stay tuned for a follow up blog post later this week.